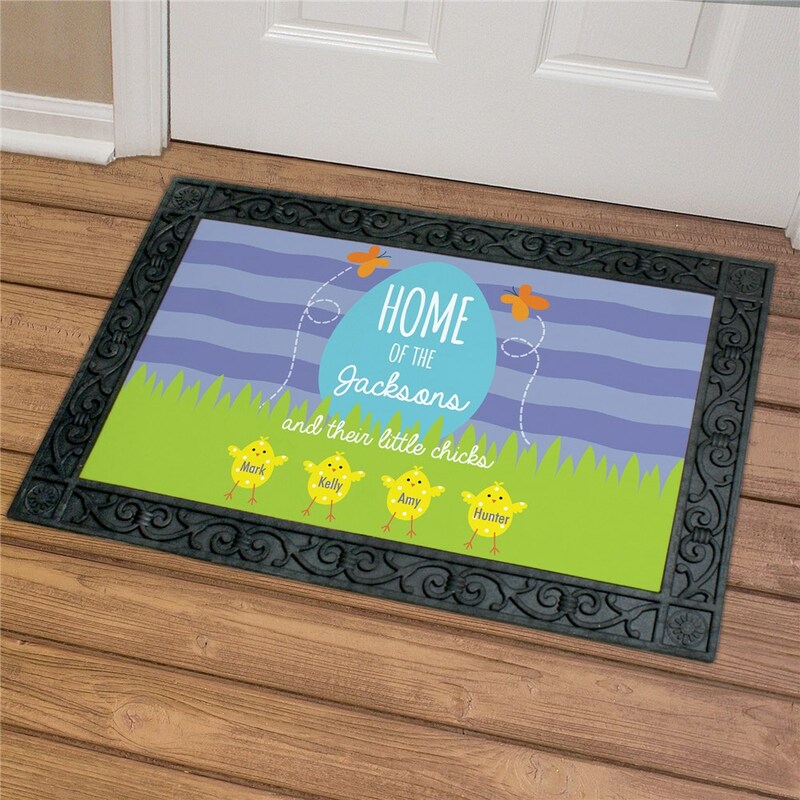 Our adorable Spring chick will add a cute welcome to your door way with a Personalized Home of the Doormat. We will custom create with any family name and up to 8 names. This personalized doormat would make a great gift for Spring or even a housewarming gift!